Are you looking for a way to have some fun and help your community? Then…let’s get cracking! 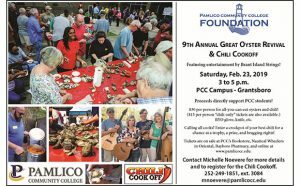 The Pamlico Community College Foundation will host its 9th Annual Great Oyster Revival & Chili Cookoff on Saturday, Feb. 23, from 3 to 5 p.m. at the PCC campus in Grantsboro. For $30, enjoy all-you-can-eat oysters and delicious chili prepared by area cooks. Believe it or not, some people don’t like oysters, so we are also offering a $15 chili-only ticket. Most importantly, you’ll be helping the PCC Foundation support deserving college students right here in the community. This year’s event will feature Brant Island Strings. If you haven’t yet discovered this talented and charismatic local group, now’s your chance! Longtime friends and musicians Perry Cheatham (mandolin, vocals), Rick Vogt (lead guitar, vocals), Becky Ackiss (stand-up bass, vocals) and Ginny Vogt (rhythm guitar, vocals) have a shared commitment of honoring the music, taking artistic liberties, and having as much fun as the audience. The band’s eclectic mix of bluegrass-infused classic rock and contemporary Americana never fails to surprise…in a good way! Local cooks are invited to enter a crockpot of their best chili for a chance at a trophy and prize. Last year’s winners were John Hendren’s “Downeast Chili” and Tim Jalbert’s “Oriental Deli Chili”. Enter your chili by contacting Noevere at the number below no later than Wednesday, Feb. 20, for a chance to win a customized trophy and a gift card! Additionally, there will be door prizes and a 50-50 raffle. Now’s the time to get your tickets for this one-of-a-kind winter event before they sell out. Tickets are on sale at pamlicocc.edu (look for the link near the top of the home page), PCC’s bookstore, Nautical Wheelers in Oriental, and Bayboro Pharmacy. A limited number of tickets will be available at the door. Be sure to bring your own gloves and knife – and come hungry! For more information, contact the Foundation at 252-249-1851, ext. 3084 or via email. 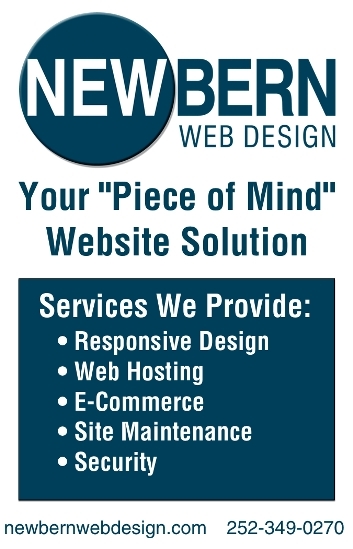 Sponsorship opportunities are also available. 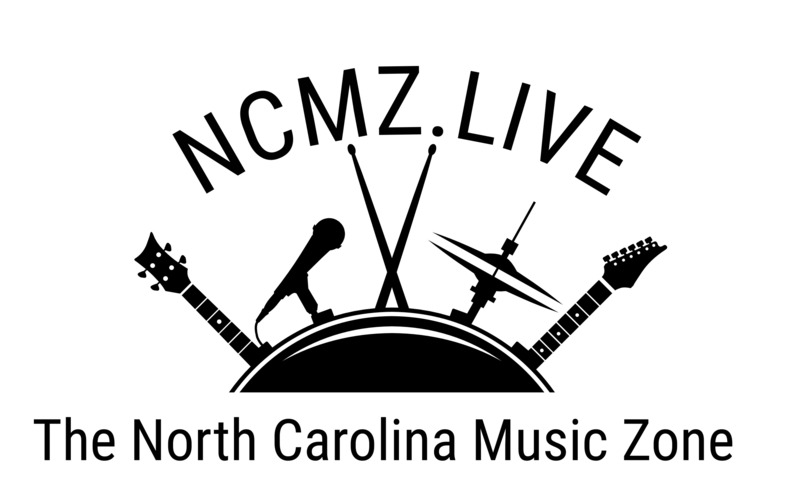 Sponsors’ names will be on signage at the event and the college’s electronic sign fronting Highway 306, by which 3,600 vehicles pass per day, according to latest NCDOT figures.